Grizzlies captain Alex Newhook’s 32 points have him tied for the lead in the BCHL scoring race. The early race for the B.C. Hockey League scoring crown is between two disparate captains of their squads — the kid and the veteran. The former is Alex Newhook of the Victoria Grizzlies and the latter is Ty Westgard of the Surrey Eagles. Newhook still has much of his junior and collegiate career ahead of him as he performs in his sophomore season in the Island Division ahead of playing in the NCAA next season with the Eagles at Boston College. There is also the not-insignificant matter of the 2019 National Hockey League draft, just a ferry ride away at Rogers Arena in June, where Newhook is projected to go in the first round. Westgard is the 20-year-old over-age journeyman who has been around the block a few times in junior — from the Surrey Eagles to the Victoria Royals of the Western Hockey League and back again. The pair are dissimilar, at least in terms of career arc. But they are tied atop the BCHL scoring parade with 32 points each heading into action today. 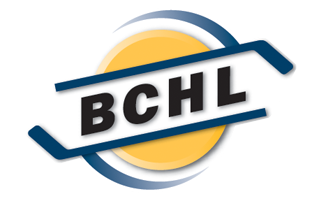 They are both four points clear of third-place Kevin Wall of the Chilliwack Chiefs, who leads the league in goals with 16, and has 28 points in 22 games. Newhook has 11 goals and 21 assists in 21 games and Westgard nine goals and 23 assists in 22 games. That gives Newhook a 1.52 points-per-game average to Westgard’s 1.45 points per game. But that advantage could disappear next month, perhaps giving Westgard the inside rail to the league scoring crown. That’s because Newhook is a lock to play in the World Junior A Challenge and will miss several games with the Grizzlies. 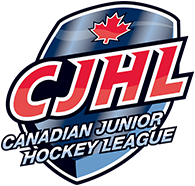 Also probables for the world Junior A tournament are Grizzlies teammates Alex Campbell, fifth in league scoring with 26 points and tabbed for the 2019 NHL draft, New York Rangers draft pick Riley Hughes and defencemen Carter Berger and Jérémie Bucheler. The annual international tournament will feature Canada West, Canada East, the U.S., Czech Republic and Russia in December in Bonnyville, Alta. Meanwhile, Newhook and Westgard continue their race atop the scoring table today when the Island Division-leading Grizzlies (13-7-1) take on the Nanaimo Clippers (7-12) at 2 p.m. in the Q Centre and the Mainland Division last-place Eagles (6-16) play the Interior Division-trailing Trail Smoke Eaters (7-9-4) in Surrey. © 2019 Victoria Grizzlies. All Rights Reserved.